Alison Jackson is an artist and filmmaker who began using lookalikes to ‘depict our suspicions’ of the private lives of people in the public eye. Jane Mosse (pictured above holding a corgi) is Britain’s leading Camilla lookalike and is a close friend. I know she regularly finds herself swept up into various Alison Jackson projects such as those for Kleenex, Peter Alexander and Notonthehighstreet and the extremely successful TV commercial for T-Mobile 2011. 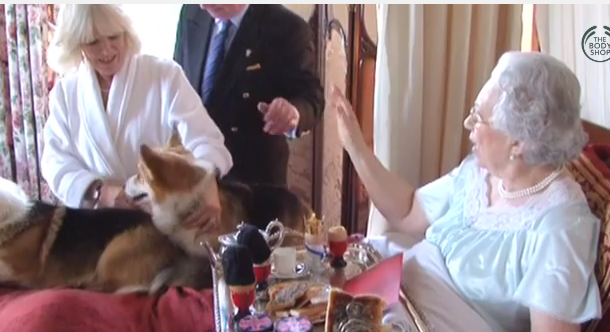 Jane also features in Jackson’s latest foray into TV advertising for The Body Shop which urges us to treat your mother as if she were a queen – and amusingly depicts Charles and Camilla with corgis, apparently bringing The Queen breakfast in bed. As viewers of Jackson’s work we know we are not watching the real Royal family, but there is something about using these doppelgängers makes us feel we are glimpsing a parallel reality. People like Jane are not not actors depicting a character, they are people who seem a hair away from the part. For me this is where much of the fascination Jackson exploits arises. In Jackson’s interesting Ted talk from 2005 she talks about how ‘photography removes us from the real subject matter’ but this means that depictions of Princess Diana, have their own independent reality. As a marketeer, I can say the main challenge with celebrity endorsement is that it means you are overlapping two brands: the personal brand of the celebrity, with the product you are trying to promote. This is why a celebrity endorsement works better when there is a connection, however tenuous –so former England footballer Gary Lineker can naturally endorse Walkers snack foods because Walkers come from Leicester and so does Gary. Naturally, seen as a brand, the Royal Family is enormous. Its gravitational pull is far greater than The Body Shop and lesser brands love to associate themselves with royalty. 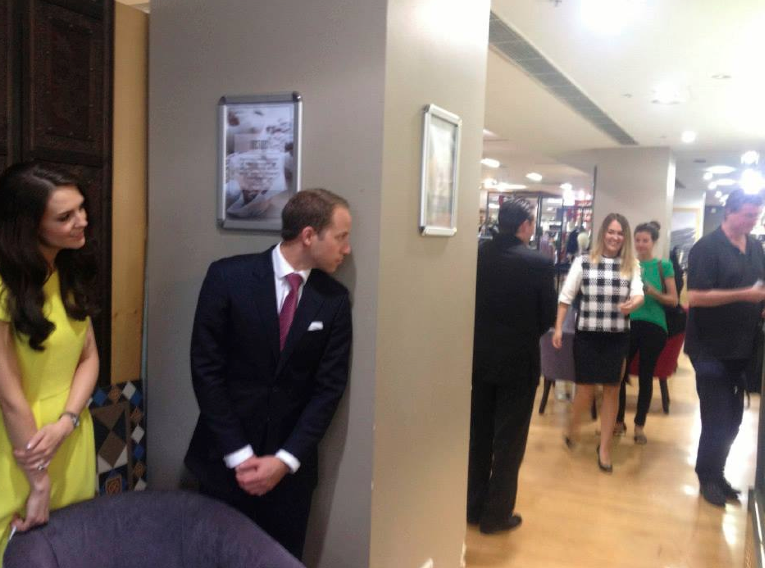 Using lookalikes, however, allows Body Shop to cheekily associate itself with the Royal Family, and profit from the crumbs that spill from that vast brand’s table. And there is no hint of toadyism in Jackson’s work, it is postmodern, warm and irreverent. A lovely balancing act. Watch The Body Shop ad below. This entry was posted in Celebrity, Marketing and tagged Alison Jackson, Gary Lineker, Jane Mosse, T-Mobile, The Body Shop. Bookmark the permalink. This first posted on my marketing site.